Science Confirms Genesis Flood Account: We call it Good News Friday because it's a chance for David and Tim to share some good news from across the nation and around the world. We don’t often hear good news from the media, but here on WallBuilders Live we are about to share with you just some of the good things happening right now. In this episode, we talk about how the Florida Supreme Court turns down a case which threatened school choice. How a recent ADF lawsuit results in expansion of free speech! An update on the Jack Phillips decision. A recent scientific discovery that supports the Genesis account. And more! Infringe, Did The Founders Define Our 2 Amendment Right In Detail? Foundations Of Freedom Thursday! Infringe, Did The Founders Define Our 2 Amendment Right In Detail: It's Foundations of Freedom Thursday, a special day of the week where we get to answer questions from you, the listeners! Always answering your questions from constitutional principles! Tune in today as we answer your questions such as is it a wise idea to arm school teachers, install metal detectors, and have school administrators inform students that there are staff members in the school that are armed? If you're not allowed to purchase a firearm at age 18 does that not infringe on your right to keep and bear arms? Who has done the most damage to the culture -Marx or Darwin? And so much more, right here on WallBuilders Live! Hollywood Is Finally Becoming Biblically And Constitutionally Literate: Janine Turner is our special guest today! She's a well known Hollywood actress, you've seen her in movies and television programs. She's also very constitutionally literate and passionate about getting the Constitution taught in schools, getting more people to study the Constitution, and she has a new podcast coming out now that's getting people to get back into reading the Bible! She's helping to spread great lessons and truths from the past. Tune in now to learn more! Oil World Turns Upside Down As U.S. Sells Oil In The Middle East: We call it Good News Friday because it's a chance for David and Tim to share some good news from across the nation and around the world. 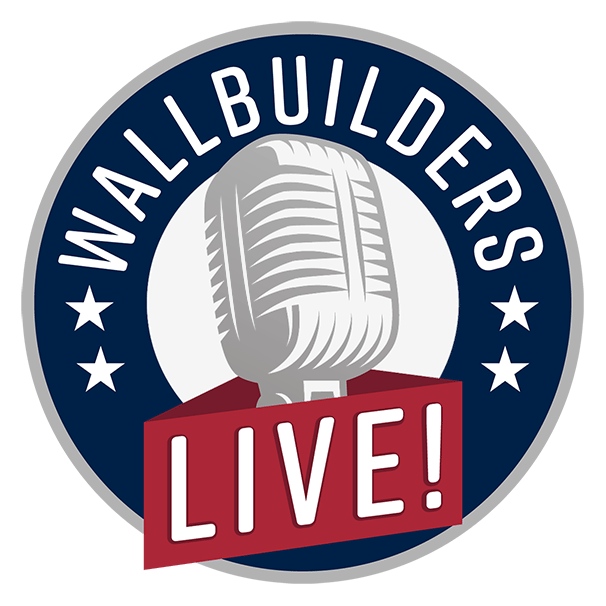 We don’t often hear good news from the media, but here on WallBuilders Live, we are about to share with you just some of the good things happening right now. In this episode, we talk about Wisconsin Union membership plummeting in the wake of worker freedom laws and the amazing budget savings! An Illinois university rescinding policy that restricted speech to less than 1 percent of campus! A California court ruling the Second Amendment extends to gun sales that could ease zoning laws on gun stores! The U.S. Selling oil in the Middle East! And more! Paid Lobbyists, What Is Their Purpose and Are They Always Bad: It's Foundations of Freedom Thursday, a special day of the week where we get to answer questions from you, the listeners! Always answering your questions from constitutional principles! Tune in today as we answer your questions such as what is the relationship between our “Immigration dysphoria” and the concept of dual citizenship? What is the purpose of a paid lobbyist? Are all lobbyists bad? How can we properly affect the next generation? And so much more, right here on WallBuilders Live! Arming Teachers To Protect Against School Shootings: In today’s program we are interviewing a former Navy SEAL about the effects of arming teachers in school. Is it a good idea, a bad idea, how hard would it be to train teachers in this situation, and will that actually prevent possible future shootings? Tune in now to learn more! Attack On Christianity, Strategies Christ Used For Culture Warfare: In today's episode we interview Senator David Howard on how we as Christians can move toward involvement and taking action against the war on Christianity while answering the often asked question, “What can we do?”. We discuss Senator Howard's outstanding book, Attack on Christianity: Ten Strategies Christ Used to Fight the Culture War. Learn about the importance of being "worthy adversaries" and how we can have joy in the throes of the fight! Tune in now to learn more! Pro-Life Movement Rapidly Growing, What Caused The Pro-Life Shift? Pro-Life Movement Rapidly Growing, What Caused The Pro-Life Shift: We’ve spent a lot of time on Good News Fridays over the last year just talking about victories in the pro-life movement because there's been so many. In fact, it has really dominated our Good News Friday programs! But in today’s program, we wanted to discuss the why, and how to continue this movement! Tune in now to learn more!